Fewer than four months before politicians gather in Paris to try to hammer out an international climate agreement, Islamic scholars have underscored the urgency of halting climate change. 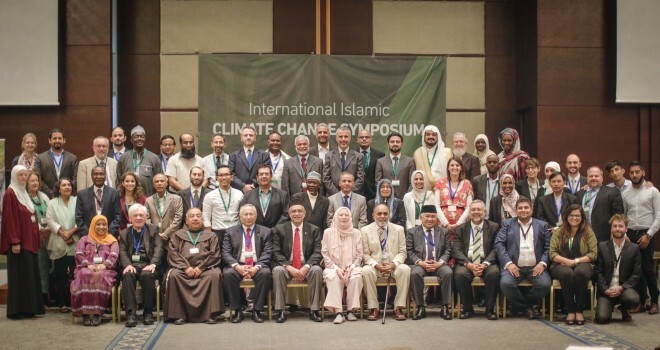 The International Islamic Climate Change Symposium, drawn up by a group of academics, Muslim scholars and international environment policy experts, was announced this week at a symposium on Islam and climate change in Istanbul. It calls on the 1.6 billion Muslims around the world to phase out greenhouse-gas emissions from fossil fuels and switch instead to energy from renewable sources. We have a religious duty to take immediate action against climate change!